Xinjiang Tianshan is a mountain range that holds glaciers, snowcapped peaks, alpine meadows, lakes and canyons. 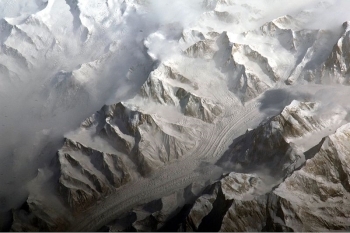 These mountains are in stark contrast with the surrounding six deserts, of which part of the Taklamakan Desert is within the WH area borders. This site covers the Chinese part of the Tianshan mountains, which extend into Kazakhstan, Uzbekistan and Kyrgyzstan. Tomur is its highest peak at 7,443m.